In the heart of the Great Barrier Reef, Hamilton Island is one of Australia's most outstanding and desirable holiday destinations. When travelling to this beautiful island, you will be surrounded by unspoiled white beaches and an amazing coral and marine life. 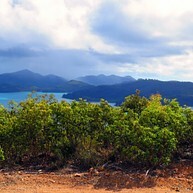 More than 70 percent of Hamilton Island is natural bushland, offering 20 km of scenic bushwalking trails. As home to many Australian animals and bird life, there will be plenty of fascinating flora and fauna to explore. Just make sure not to miss most photographed beach in Australia, Whitehaven Beach, with its crystal clear water and pristine silica sand. Besides exploring the wonderful nature of Hamilton Island, there are plenty of activities to do such as golf, go karts and water sports. A world heritage listed marine park, the Great Barrier Reef extends for 2,300 km along the North Eastern coast of Australia. It’s the world’s largest coral reef system, comprising a network of about 2,900 individual reefs and home to nearly 2,000 species of fish. Whether taking a scenic flight, cruising, diving, snorkelling or admiring this wonder through an underwater viewing chamber, seeing it is one of the most magical experiences on the planet. 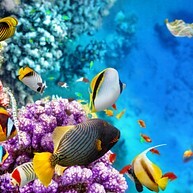 Day tours of the Great Barrier Reef organized by Cruise Whitsundays depart from Hamilton Island Marina every day at 9am. 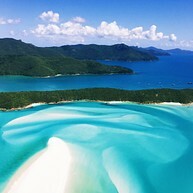 The famous Whitehaven Beach with its white silica sand rests just a mere 20 minute boat ride from Hamilton Island. This place is so stunning the BBC voted it the number one beach to see before you die. Note that you can get there only by booking a tour with a company, for instance Cruise Withsundays, which organizes trips to Whitehaven Beach almost every day. 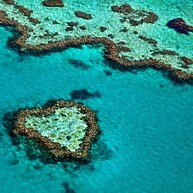 Heart Reef, located in Hardy Reef, is an amazing composition of coral shaped by nature into a heart. Heart Reef can best be experienced from the sky by helicopter or seaplane departing from Hamilton Island. Hamilton Island Air is one of the companies offering this experience, which also includes landing on the beautiful Whitehaven Beach. For more information and to book a tour visit the website below. More than 70 percent of Hamilton Island is pristine natural bushland, which offers over 20 km of scenic bushwalking trails. There are trails of different lengths and for all levels of fitness. Take a bushwalk up to Passage Peak, the highest point on the island, for the most breathtaking view of the Coral Sea and surrounding islands. The wild-life park on Hamilton Island gives you the opportunity to get close and personal with a large collection of native animals including koalas, kangaroos, crocodiles, wombats and frill-necked lizards. 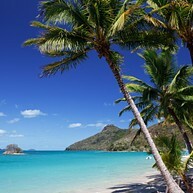 For one or more days, you can leave Hamilton Island and explore the local waterways and surrounding islands. Sailing Whitsundays organizes various types of tours and activities that you can book for a truly memorable holiday. You'll be able to enjoy leisurely day sails, sea kayaking, dinghy hire, cruises and scenic flights. If you want to keep busy during your holiday, Hamilton Island Water Sports offer a selection of fun activities like fishing, snorkelling, parasailing, tube rides, speed boat adventures, water-skiing and waterboarding. Catseye Beach is a heavenly spot for relaxing, sunbathing and swimming. Here you'll also find a beach sports hut where you can hire various equipment like catamarans, kayaks, windsurfers, paddleboards and snorkelling gear. There's a chance that you'll spot local wildlife like cockatoos and sea turtles. Renegade Fishing Charters offers fishing experiences with knowledgeable guides and quality equipment at your disposal. 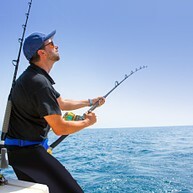 It doesn't matter if you're already a fishing enthusiast or you want to try this activity for the first time. You'll fish among the Whitsunday Islands and the Great Bareer Reef to catch exotic species like coral trout, sweetlip, snapper and throat emperor. Hamilton Island Golf Club is a 18-hole golf course just as big as the island where it's located, Dent Island. 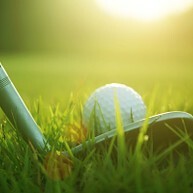 As the course follows the natural shape of the landscape, it's quite challenging to play here, but also quite exciting, and even beginners can give it a try. 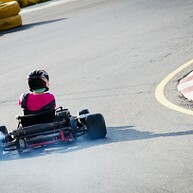 Hop on a single or duo kart and race up to 45 kilometres per hour at the Go-Kart Racing Track in Hamilton Island. It's an alternative and fun way to spend the afternoon, far from the beach but still in a tropical setting.